Triton's XT22-101 aluminum trailer is a 22 foot four place, tandem axle trailer with a V-nose and a standard aluminum ramp. It's lightweight and smooth to haul it won't even feel like it's there! Since the deck is 22 feet plus the v-nose long, this trailer gives you the room needed for your large and longer sleds in today's market. 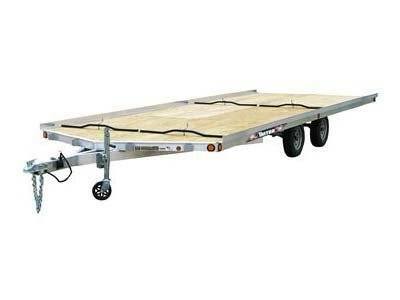 Packed with great standard features, the XT22-101 offers more than most other trailers available on the market today.